New. Trade paperback (US). Glued binding. 118 p.
New. Trade paperback (US). Glued binding. 192 p. Contains: Illustrations, black & white. New. Trade paperback (US). Glued binding. 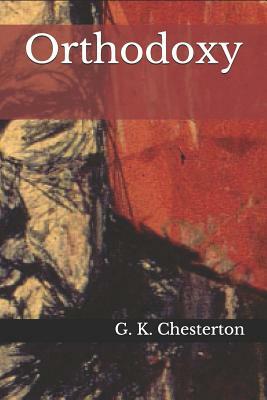 330 p.
In Orthodoxy, G.K. Chesterton gives his defense for believing in Christianity in a world of scepticism. He also answers why the moral beliefs of the Christians of old still holds true today. Chapter 6, "The Paradoxes of Christianity" is one of my favorites; Chesterton writes of how Christian virtues that would seem to contradict each other, such as mercy and justice, can actually exist together without either losing their "ferocity." This is a great book for anyone who likes the writings of C.S. Lewis or wants to know the intellectual moorings of the Christian Faith. Chesterton is a fantastic writer.I can't believe I wasn't exposed to him in college. He's scintilating,thought-provoking on every page.Quite an effective antidote to the prevailing liberalmaterialism,secularism,and greed that characterizes our age. Not so much a step-by-step handbook, more of a progressive recounting of the intellectual road to Truth, G. K. Chestertons ?Orthodoxy? is a classic for those who love to hear the Truth in fleshed out terms. In short, I simply loved it and could see from the first few pages why this work is a classic must read. Much like C. S. Lewis (of whom I greatly admire), Chesterton is a wordsmith painting pictures, giving examples, drawing out the facts in real life form. From ?The Suicide of Thought?? It is idle to talk always of the alternative of reason and faith. Reason is itself a matter of faith. It is an act of faith to assert that our thoughts have any relation to reality at all. From ?The Flag of the World?? An imbecile habit has arisen in modern controversy of saying that such and such a creed can be held in one age but cannot be held in another. Some dogma, we are told, was credible in the twelfth century, but is not credible in the twentieth. You might as well say that a certain philosophy can be believed on Mondays, but cannot be believed on Tuesdays. You might as well say of a view of the cosmos that it was suitable to half-past three, but not suitable to half-past four. What a man can believe depends upon his philosophy, not upon the clock or the century. From ?The Paradoxes of Christianity?? This is the thrilling romance of Orthodoxy. People have fallen into a foolish habit of speaking of orthodoxy as something heavy, humdrum, and safe. There never was anything so perilous or so exciting as orthodoxy. It was sanity: and to be sane is more dramatic than to be mad. I must limit the sections of this book that were my favorite otherwise I would include the entire book. What a reasoning thinker Chesterton was? What was my take this great book? In a sentence I would have to say, his point that the dreamer who looks at the paradoxes in life and accepts them attributing all as gifts of God is far greater than the intellectual who would have this grand creation categorized, sequenced and number before accepting the Truth. This is one book every christian should read. No excuse not to get this one read as you can read it HERE free from the Cyber Library of Leadership U. Recommended highly as I continue to re-read many sections. This book is great reading for anyone wanting to study christianity. He covers most subjects in an understandable way. Catholics should especially see what he has to say.